Within the CPD record area of your profile you can record all of the CPD experiences you've undertaken throughout your probation. 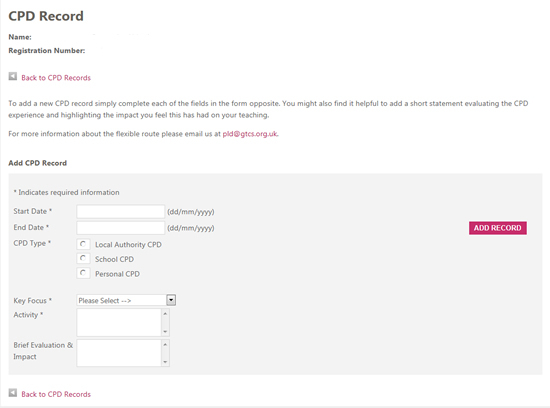 To add a new CPD record, simply click on the 'add CPD record' link and complete each of the fields in the form. You might also find it helpful to add a short statement evaluating the CPD experience and highlighting the impact you feel this has had on your teaching.